Image published by blogadmin	on September 24th, 2011	in post Lykavittos Hill in Athens. On the hill’s top, there is a white-colored chapel of St. George (Agios Georgios). Nearby is a restaruant and an an open-air theatre, used for perfomances and concerts. 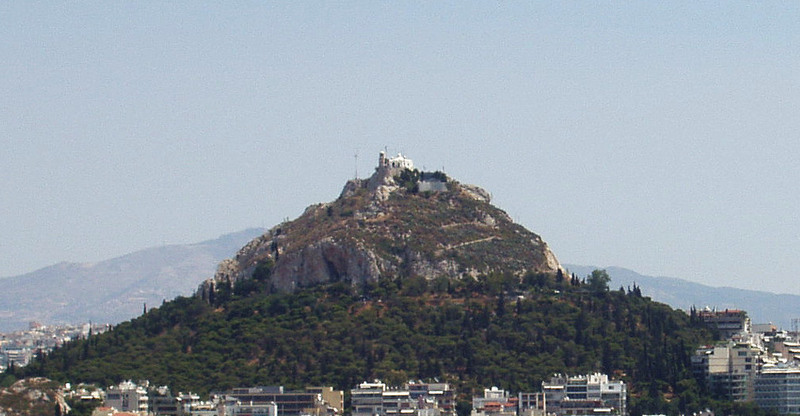 The tourists may reach the hill climbing the zigzag path or using the Lykavittos funicular.